Pioneer DJS-1000 lessons now available! 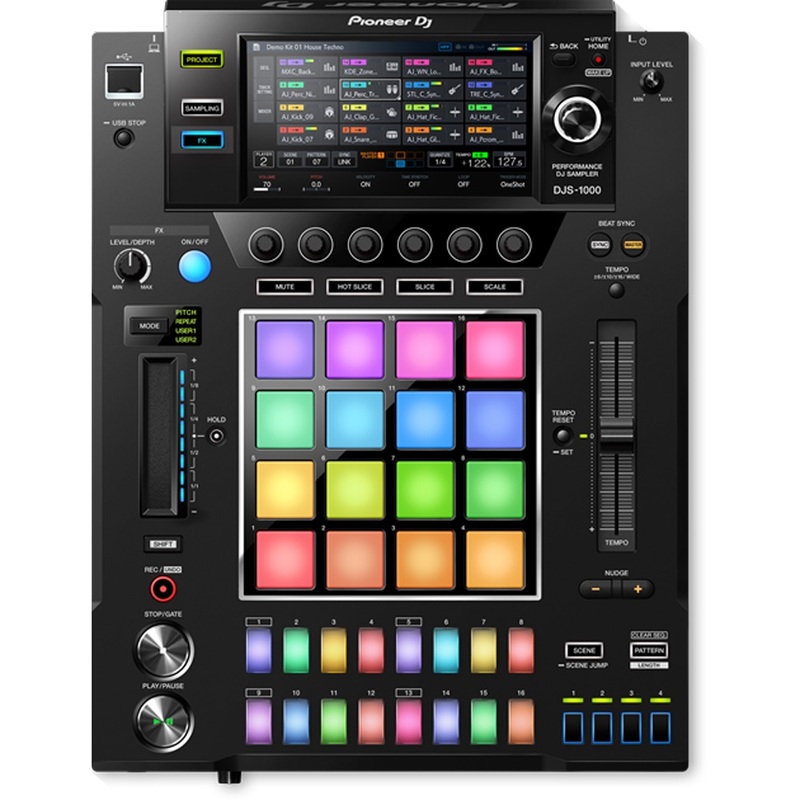 Live sampling, step sequencing and more with DJS-1000 from Pioneer. Pioneer has introduced a new DJ-friendly sampler in the form of the DJS-1000. Said to be suitable for “improvising unique sounds and phrases,” it’s designed to be taken into the booth and used to add more creative elements to your performance. Promising an easy-to-use interface and sporting a step sequencer, multicoloured performance pads and a touch strip, the DJS-1000 also features a 7-inch full-colour touchscreen. This enables you to view information on the sample assigned to each track or the sequence pattern currently playing. You can also switch to a mixer view. Performance features include a live sampling option. You can record from the inputs and use these sounds as individual tracks, and these are automatically synced with the current sequence. You can also add and tweak effects on the fly. Given that the DJS-1000 is designed to be used as part of a wider setup, its syncing functions will come in useful. There’s MIDI clock, and Beat Sync enabling you to perfectly synchronise performance alongside a track playing on a CDJ-2000NXS2 or XDJ-1000MK2 set-up using Pro DJ Link. Projects and samples can be stored on a USB device, and there’s also support for project files created on the Pioneer Toraiz SP-16. The DJS-1000 will be available from mid-October priced at £1169. Find out more on the Pioneer DJ website.